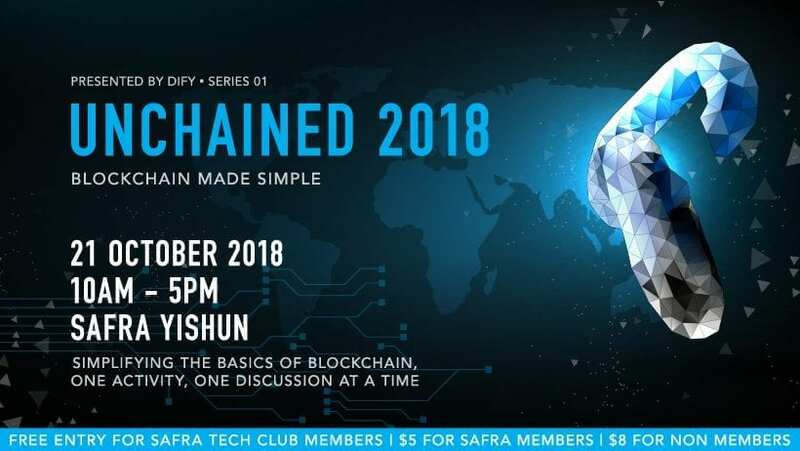 [SAFRA Event] Unchained Blockchain Conference on 21 October 2018 (Sunday). attendance to share their knowledge and journey into the Blockchain industry. the public has towards Blockchain. The two founders of DIFY, Mr. Roy Kek and Ms.
share the basics of Blockchain and the practical usage of the technology. SAFRA Tech Club too believes in the potential of the event and is excited to share this event with the interest group. “We are pleased to organise Unchained 2018 as part of our interest group’s latest line up of technology-driven events. This event is great for SAFRA members and public who want to know more about what blockchain is but do not know where to start. We have some very experienced speakers lined up, plus interesting activities for everyone to try as well.” said Donald Yeo, Chairman of SAFRA Tech Club. 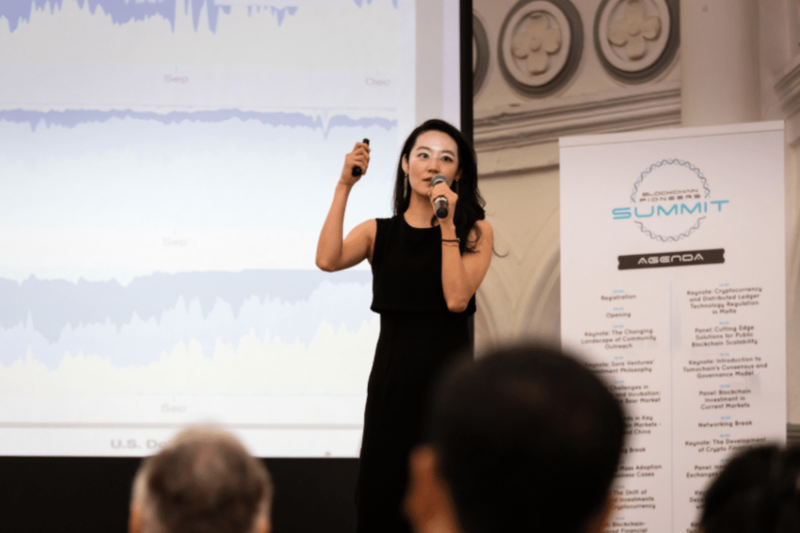 Apart from SFA and SAFRA, other attendees include representatives from notable industry organisations such as Huobi Global, Stellar, Institute of Blockchain Singapore (IBS) and Association of Cryptocurrency Enterprises and Startups, Singapore (ACCESS). Registration for the event has started on SAFRA’s website and will close on 17 October 2018 (Wednesday). 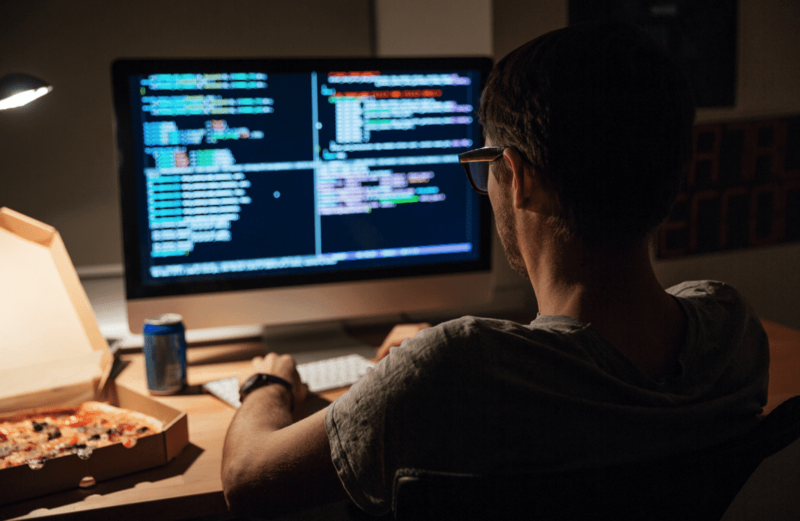 All SAFRA Tech Club members get free access while SAFRA members and general members of the public can purchase their tickets at $5 and $8 respectively. Register here today!